In effect you are standing on the heating element, the floor, where the heating tubes are embedded. Most new construction uses a lightweight concrete over pour on the tubing layout to create a heated slab floor. 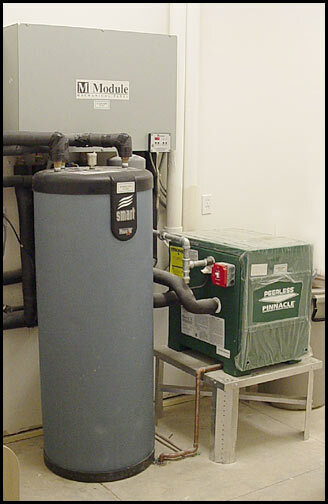 A boiler heats the water, which is circulated through the tubing by the manifold box or boxes. 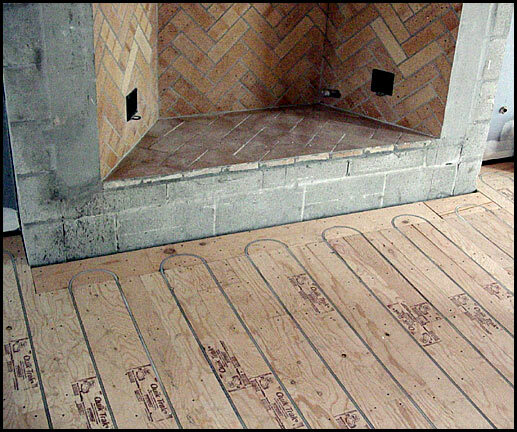 The floor is heated and in turn the entire room receives the radiant heat that rises evenly from its source. Thermostats and timers can control the temperatures of rooms or sections of the home while other areas or rooms are set at a different temperature or can be shut off entirely with zone valves or actuators. About 50% of the local residential radiant heating market is in remodeling and retrofit projects. Baseboard and under floor systems are used for these applications, such as the quick-track method, which is prefabricated plywood with a groove through it and an aluminum reflector under it. Typically it is laid on top of the sub floor with tubing and it replaces an over pour. The quick-track method can also be used in new construction when the structural environment will not support a concrete slab. The quick-track method is actually more expensive than the over pour method. 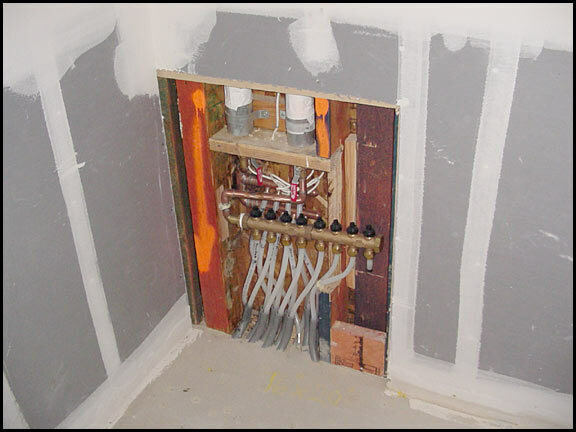 Most of the radiant Hydronic heating systems are being installed in custom homes. Schefer and his Hydronic Department are presently starting a high-end residential project in Rutherford in the Napa Valley that employs a geothermal radiant heating system, which heats well water to supply the heating source.